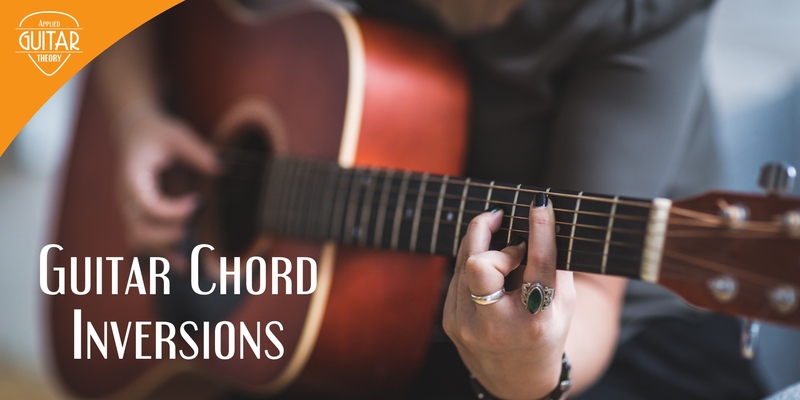 In this lesson we look at chord formula basics to help make sense of these names and build an understanding of how chords are made. Guitar chord inversions allow you to create different voicings for a given chord. 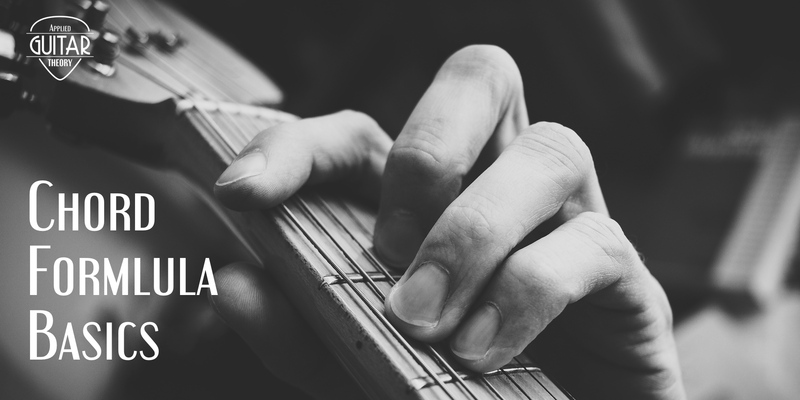 These voicings can add a little flavor and variety to the typical chord sound. While “chord inversion” may sound complicated, it’s actually quite simple. 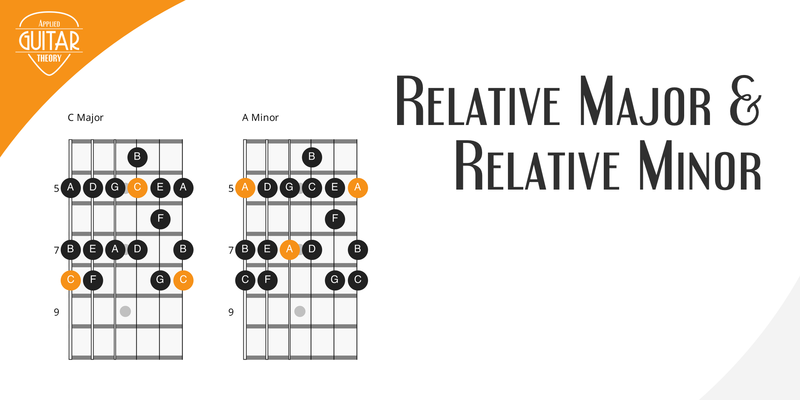 Few concepts in music theory provide an “aha” moment quite like learning about the relative major and relative minor keys. The realization of the relationship between the two brings quite a bit of clarity to the learning the major/minor scale patterns and sets the groundwork for exploring the concept of modes. 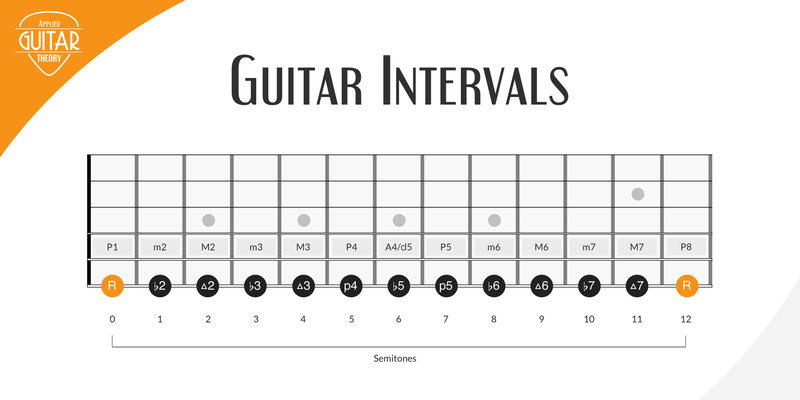 Intervals on Guitar: The Most Important Music Concept for Guitar Players? The importance of knowing the intervals on guitar can’t be overstated. It allows you to better understand how scales and chords are constructed and gives you a deeper understanding of how music works. 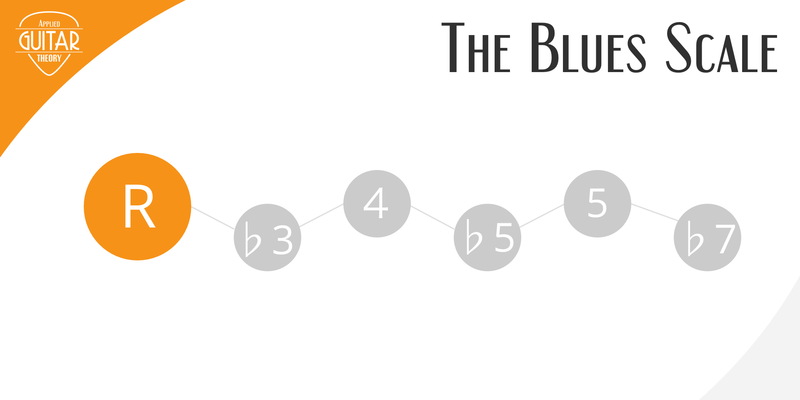 When it comes to soloing, the blues scale is one of the most popular scales used. It’s used across many genres of music, from blues to rock to jazz and others. David Gilmour uses it extensively in his solos. 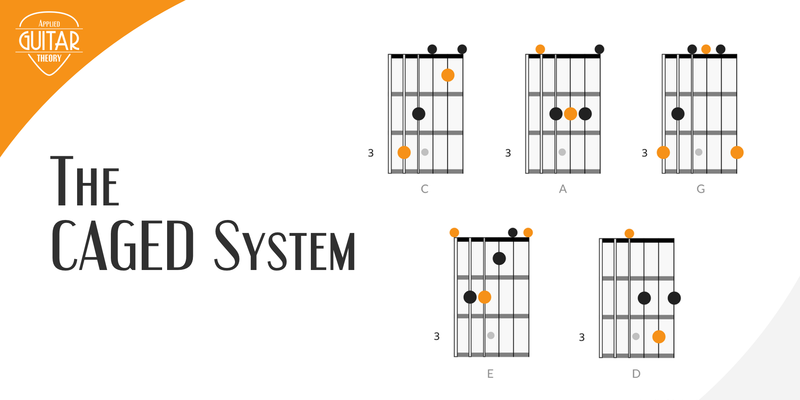 Wouldn’t it be nice if there was a guitar system to easily allow you to visualize and connect the guitar fretboard up and down the neck? The CAGED guitar system does just that. It lays out the guitar fretboard in a logical manner, allowing you to easily navigate the fretboard. Building chords from the major scale sets the foundation for writing and understanding chord progressions, transposing to other keys, and developing your ear as a guitarist. In this lesson you’ll learn how chords are constructed from the major scale by stacking 3rds, what determines the quality of these chords, and how these chords map to the fretboard. 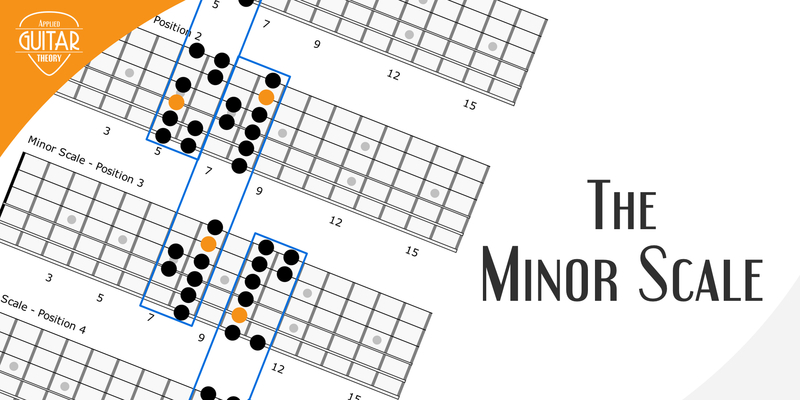 What is the minor scale? What makes it minor vs major? In this lesson we’ll break down the natural minor scale and it’s qualities and take a look at how it is applied to the fretboard. 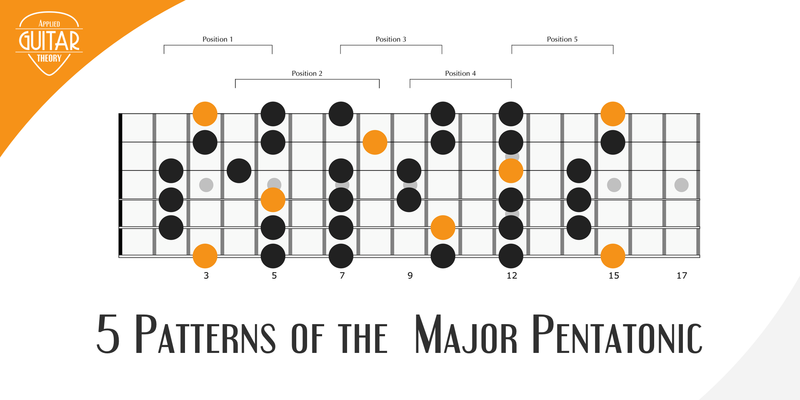 The pentatonic scale is one of the most widely used scales on the guitar. The versatility and playability of the scale makes it a popular choice for use in guitar soloing and melodies. No doubt about it, this five-note scale packs a punch! Let’s take a look at what makes up this scale and how it’s applied to the guitar fretboard. By the end of this lesson you’ll see for yourself what makes this scale so special! 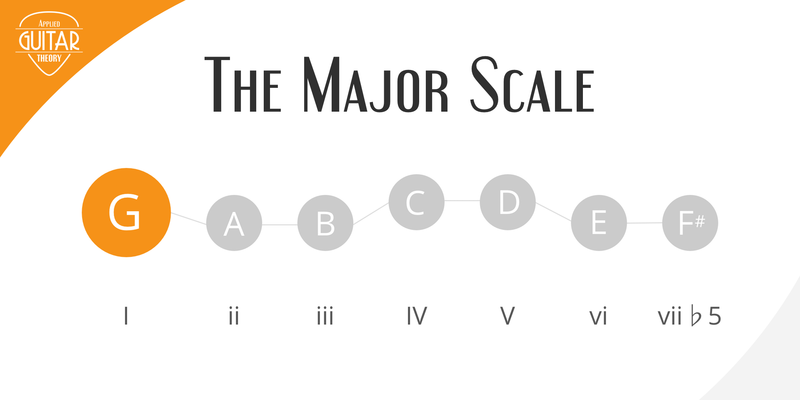 The major scale is the centerpiece of music theory and probably the most commonly used scale in music. 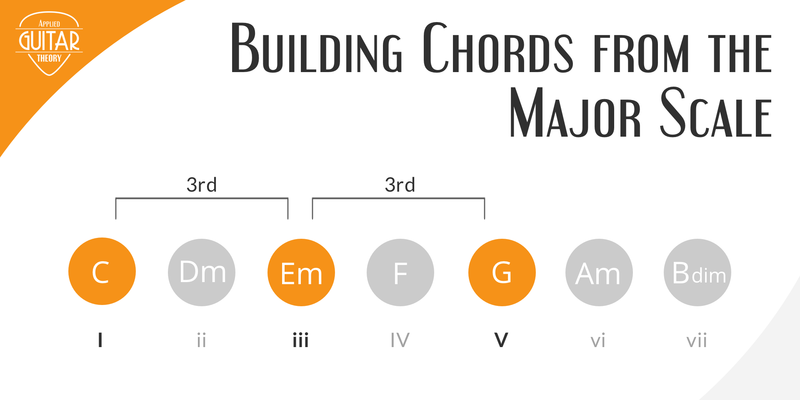 In order to understand chords and other scales, you need to first understand the major scale. In this lesson we will take a look at what makes up the major scale and the major scale patterns on the guitar.